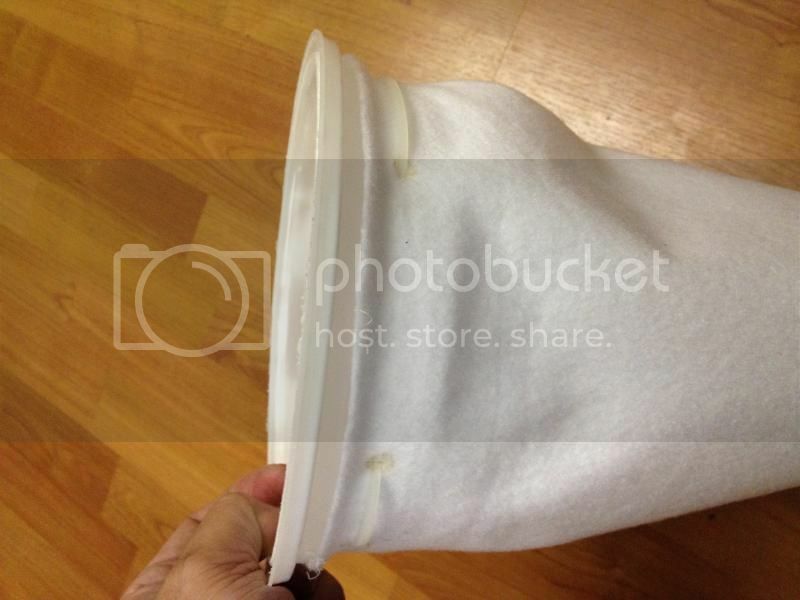 im looking for a DIY filter sock alternative something that i can just throw away instead of cleaning it. Since i will be throwing it away i want it to be efficient as in using the least amount of material as possible. please throw some ideas out there and we all can colab on this. I'd love to offer a suggestion, but have not ever used one. I just don't see the need. I'll try to be nice if you try to be smarter! I can't help that I grow older, but you can't make me grow up! I have a Red Sea Reefer 250 and use their micron socks. These are a breeze to clean under fresh water and whilst they have darkened in the 12 months I’ve had the tank I don’t think they need any more cleaning than that. I’ll be getting a couple of replacements soon, but only in case one of them develops a tear. At the moment they look fine. Go to a fabric store and buy some quit batting (polyester). It's cheap, you can create a small rack to simply hold it in place under your overflow tube. It'll catch a lot of debris and then you can throw it out after a week or however long it takes to foul. I've been sewing disposable socks for 4 years now. if you do not have a sewing machine, you can get a portable one for like $10-$15, good enough for sewing filter sock. If you have a local Joann Fabric store, wait for their 70% off coupon, then buy a whole bolt (10 yards) for under $25 and that will make 180 4" socks. If you change weekly, that will last over 3 years. cost comes to no more than 25 cents per sock. and you get a brand new sock every week. you can never wash a dirty sock back to brand new clean, no matter how you do it. if you sew your own, then you can control how much material you want to use, so there is no excess or unused portion before you throw it away. I even make sock for 4" ring but the body is expanded another 6" so I have a bigger bag. I use this when I go out of town for over a week. otherwise, a regular 4" sock will start overflowing after 8 or 9 days. The larger bag can last two whole weeks. I fell behind on power washing my socks out a few months ago, and used filter floss as a stop gap measure. I still haven't switched back and really don't see any reason to. Do you by chance have a template for the 4" and 4" ring/6" sock? What do you use on top to hold them in place? I have a sump that holds (2) 4" socks, and can not use a bag style. 14" are too long 8" are too short. 10"-12"
would work perfect. This I can adjust on my own. 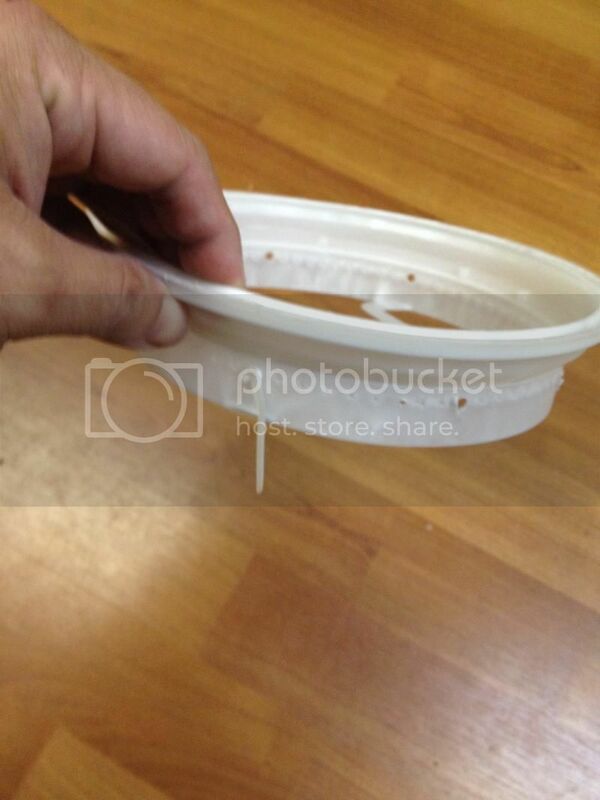 I use the plastic ring from the old filter sock. Just cut off the fabric. Then I punch 4 holes around the ring, just large enough to thread a zip tie. for 4" sock, I cut 12" x 12" fabric, fold in half then sew the long side and short side to make the bag. The opening is large enough to fit in the plastic ring, then with an icepick, I punch a hole through the fabric, and thread the zip tie through the 4 holes to hold the sock to the ring. for larger bag on 4" ring, I cut 18"x 12" fabric. sew the top portion so it will have the same opening size as the 4" bag. Then just sew the side and bottom to close the bag. Hang the same way. so if you can picture it, the bag will extend out about 3" (6" extra width folded in half) past the ring. So its like you have a 4" ring with a fat bag. these are pictures when I used 6" socks, but idea is the same. you can get creative and customize it as you go. Shall have to give it a try. What fabric are you using? Felt? Depending how fine of a filter you are looking for, old fashioned generic ladies knee hi nylons can be bought in multi-packs and just use a rubber band to attach to the bottom of your overflow pipe. I do this for a few hours when stirring up the substrate, scrubbing rocks, or anything that causes a lot of stuff floating around the tank. It has been harder to find these at the local dollar store lately. Likely because no one buys them for anything other than a wet filter in their shop vac. Do your DIY socks give the skimmer overflow problem that other socks have? it's just like installing a new sock or even a newly washed sock. I keep the skimmer off for a few minutes after installing the new sock. I did something similar to McPuff but mine is longer. I am still experimenting with the flow over the filter. So far I am liking it. It helps with the noise if you have your return pipe go into water before the filter. Having the pipe enter the water also makes it possible to have a siphon on your drain line. If you haven't done this yet, you should definitely consider it (if you're able). You'd need an emergency drain of course. I cut down the length of my filter area since the water was not reaching the other end. My plan today is to play with some different drain configurations in the tray holding the filter to try and get the entire pad under water and draining. This will require smaller holes under the pad reducing the flow through in anyone spot. Anyway that is what I think, subject to change later.